A Plus Coach is thrilled to offer reliable and affordable limo Boston to people in search of upscale transportation options. We make it our mission to provide exceptional Boston Limousine and Town Car transportation to all of those that seek a higher level of excellence. 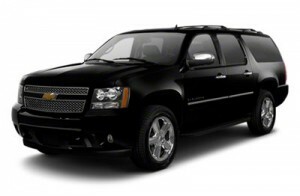 Our Super Stretch Limo Boston are second-to-none with their many amenities and luxuries. Outfitted throughout in matte-black leather seating, recessed lighting, wet bar, TV and an ear-numbing surround sound system, this fine limousine will impress your guests. It is the perfect compliment to an evening out on the town. A Plus Limo Boston goes above and beyond to create the perfect setting for a memorable evening. No matter the occasion, or size of your party, our Limos Boston are the perfect choice when trying to create priceless memories. Here are just a few scenarios that we think are a perfect reason to hire A Plus Coach. Night Out On The Town – Everyone loves a good old night out on the town with their friends or significant others. Why not class it up every once and a while and treat yourself to a worry-free evening out? It is actually more affordable than one would think. Taxi and Cab services are increasingly expensive due to private car and Boston limousine services, such as ourselves, that have made luxury travel affordable for everyone. For about the same price you can enjoy an elevated sense of elegance and style while heading out for dinner and drinks. A Plus Coach’s Limo Boston makes it possible to have a memorable night on the town without risking driving yourself. Plus you get to look really cool while being carefree and stylish. Weddings – After the pre-wedding parties have had time to recover from exhausting those last minute jitters, it is time to get ready for the main event. Reserving our Boston Limo Service for your wedding party is the ultimate way to show those closest to you that you appreciate their support on your special day. It also is a perfect time to reserve a car for you and your partner. A Plus also recommends you check out our Boston Wedding Cars for your special day. Click here to read more. Call 877-768-1700 to book your Limo Boston today. Lincoln Stretch Limousine – This is clearly a classic. Nothing says class and style like our luxury limo Boston. Climb in and enjoy a night of regal comfort and pampering. From the soft seating to stocked bar, you’ll feel like a millionaire in this classic ride. Mercedes Benz Sprinter Party Bus – This is one of A Plus Coach’s most unique vehicles. It definitely is the ‘leave your cares behind’ option in Boston luxury transportation. While deciding on what limo service Boston you’d like to go with, you should keep in mind the size of your party. Our Mercedes Benz Sprinter is perfect for large parties and can comfortably accommodate 14 passengers, their luggage and then some. Here is the good part… This vehicle comes equipped with ground effect lighting, plush red and black leather interior, lighted dance floor, server station to entertain your guests, and two extra large TV’s with DVD player. This brand of Boston luxury travel is for those that dream big and know how to enjoy themselves. Start your adventure with us at A Plus Coach today. Your dreams are a CLICK away. Hail our Limo Boston Superior Service today. Your Chariot awaits!